The Fall of 2018 brought together a wonderful compilation of fun and exciting Demize Academy teams. 21 Demize teams across 14 age groups of both boys and girls competed in the Lake Country league session. What is truly incredible is the rate at which these teams are competing and winning these league against some of the best teams in Southwest Missouri. 3 teams finished second in their divisions, while a tremendous 8 more teams defeated the best of the best to finish in first place! The Demize Academy totaled 167 games played with 96 wins, 39 losses and 32 ties with 585 goals for and only 250 goals against. These statistics clearly show that during the fall season the Demize program had not only the best winning percentage but dominated in every statistical category. Click the link to see the stats LCS Overal Club Standings . Of the Lady Demize teams, 3 teams took first place. The Lady Demize 05/06 team finished with a record of 7-0-1 to claim the top spot. They scored an amazing 27 goals, and only conceding 3 goals the entire season! Furthermore, the Lady Demize 03/04 girls in the U16 division also finished in first with a record of 7-1-0. These ladies scored an absolutely phenomenal 51 goals, while only conceding 5. Truly Incredible Ladies!! The boys teams were equally as wonderful as the ladies this season with 5 boys teams taking first place in their division and another 3 who came so close finishing in second place. Those who finished in second place were the Nationals DA 2009 Boys White in the U10 division, Demize Academy 2008 White in the U11 division, and the demize Academy 2005 in the U14 division. Some of the teams who finished in first place, handled their divisions with ease and were incredible to witness the dominance and organization of each of these teams. The Demize Academy 2007 White team went 7-0-1, scoring 39 goals, conceding only 5. The Demize Academy 2010 team in the U9 division finished 8-0-0 scoring a wonderful 40 goals. Phenomenal as those are, two of the boys teams were able to completely surpass the standard of a top team, with complete and utter dominance in their respective divisions. 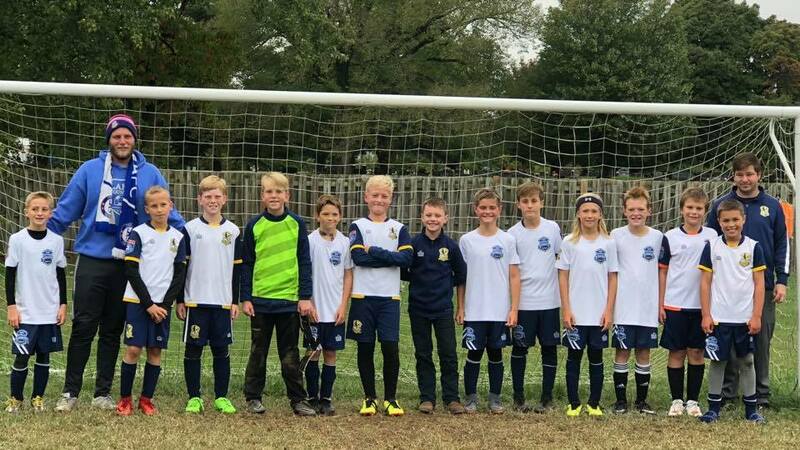 The Nationals DA 2009 Boys Navy team completed the season with a goal differential of 56, scoring 60 goals while conceding only 4 goals! Even better, the Nationals DA 2010 team ended the season with a goal differential of 59, scoring 61 goals and conceding only 2 goals!!!!! Absolutely incredible boys! That is on average scoring almost 8 goals per game! That about rounds out the action from the clubs ventures in the Lake Country Fall Session! Well done to all the Demize Boys and Girls for their hard work and dedication towards excellence. And thank you to the parents, family members, friends and supporters of the Demize for your encouragement and dedication to these players. Be following all the Demize teams on demizesoccer.com as well as on Facebook and Twitter under Demize Soccer on Facebook and Twitter handle @demize_soccer!